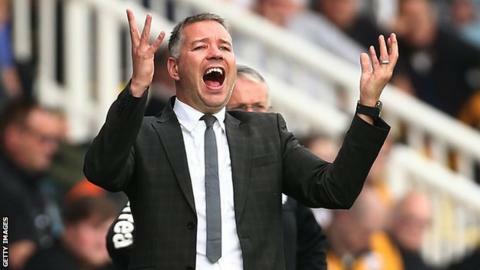 Peterborough United boss Darren Ferguson has received a two-game touchline ban and a £1,000 fine for misconduct. The 42-year-old was sent to the stands at half-time during last week's 2-0 loss to Colchester, after remonstrating with referee Jeremy Simpson. In a personal hearing on Wednesday, Ferguson admitted to using "improper language and/or behaviour". Posh are on a run of one win in 12 league games. Ferguson's touchline ban will not start until the Football Association receives the written reasons of the independent regulatory commission.